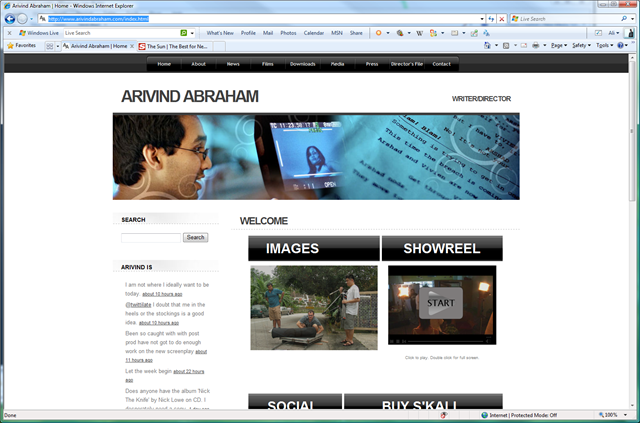 Another of our web projects went live over the weekend. 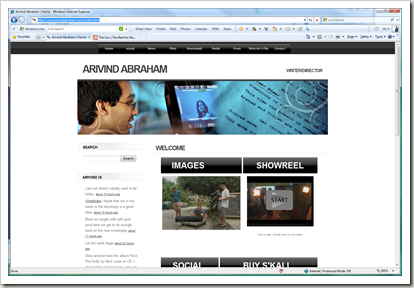 ArivindAbraham.com is the home to, funnily enough, Arivind Abraham – a writer and director, based in London. He’s actually the writer/director for the two film projects I’m currently editing on though Chaos Created/Befour, 5:13 and The Joshua Tapes. Anyway, be sure to check it out. There’s also a lot of content on there, particularly on the Blog, as to the work that’s progressing on both 5:13 and The Joshua Tapes.